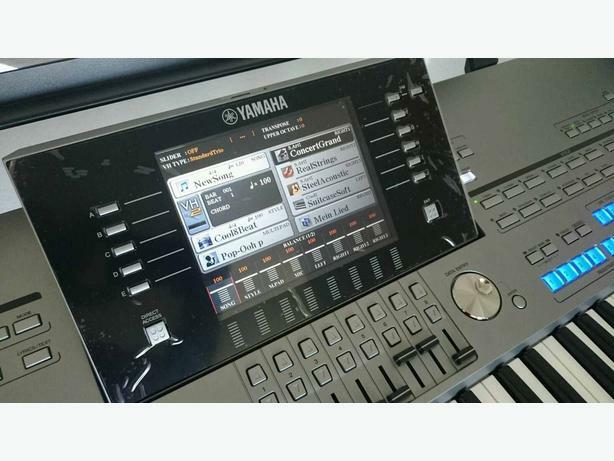 This it is absolutely new quality Yamaha Tyros 5 high-end keyboard with 76 keys + accessories + rest guarantee (purchase date 19.10.2017). The keyboard is really in an absolute top condition! It was only used indoors in the apartment and I always washed my hands before playing. It is an absolute non-smoking instrument. Even the film on the screen is still as you can see in the pictures.